entering will bring you peace and encouragement in your Earthlife walk. 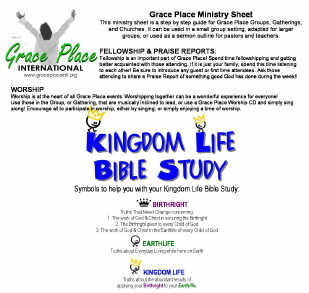 Kingdom Life Bible Studies, plus resources for when you leave The Worship Room. THE WORSHIP ROOM :: GIVE THANKS! including the hymns, COME YE THANKFUL PEOPLE COME, WE GATHER TOGETHER, & NOW THANK WE ALL OUR GOD. Choral and orchestra arrangements by Gary Lanier. CHORAL ARRANGEMENT available at eMUSIC FOR WORSHIP. SCRIPTURE REFERENCE: Various thanksgiving themes. When you understand who God is, what He has done for you, and enter into His gates with heart-felt thanksgiving, it will truly change your EARTHLIFE and you will begin to experience KINGDOM LIFE... NOW! Take a few moments to renew thankfulness in your life. Worship Videos, Teaching Videos, and Kingdom Life Music. God designed for Grace Place International. Gospel of Jesus Christ with the world. Copyright 2008 - 2015 by GLNC. All rights reserved.